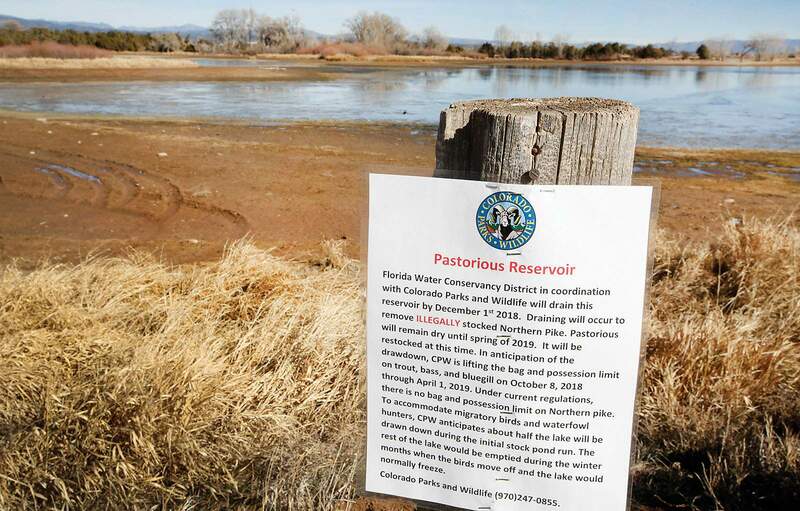 Signs posted at Pastorius Reservoir southeast of Durango on Tuesday say that the Florida Water Conservancy District and Colorado Parks and Wildlife are in the process of draining the lake to remove illegally stocked northern pike. The reservoir will be refilled in the spring and restocked with trout and other fish. Pastorius Reservoir southeast of Durango is being drained to remove illegally stocked northern pike. 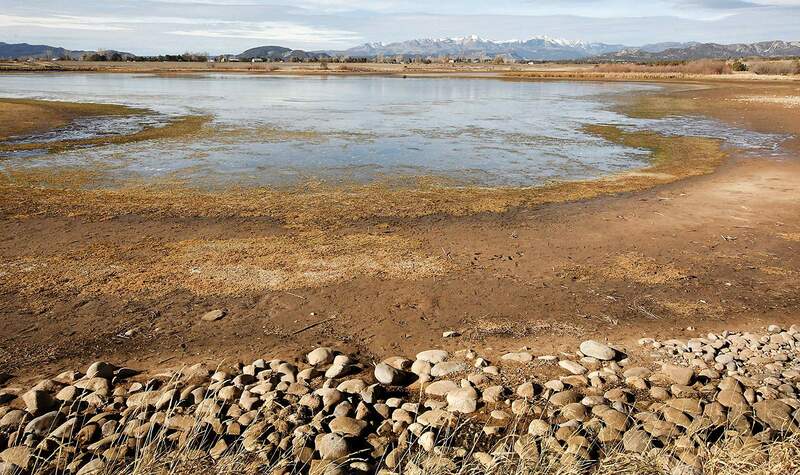 The draining of Pastorius Reservoir southeast of Durango will remove illegally stocked northern pike and allow the Florida Water Conservancy District to make dam repairs. 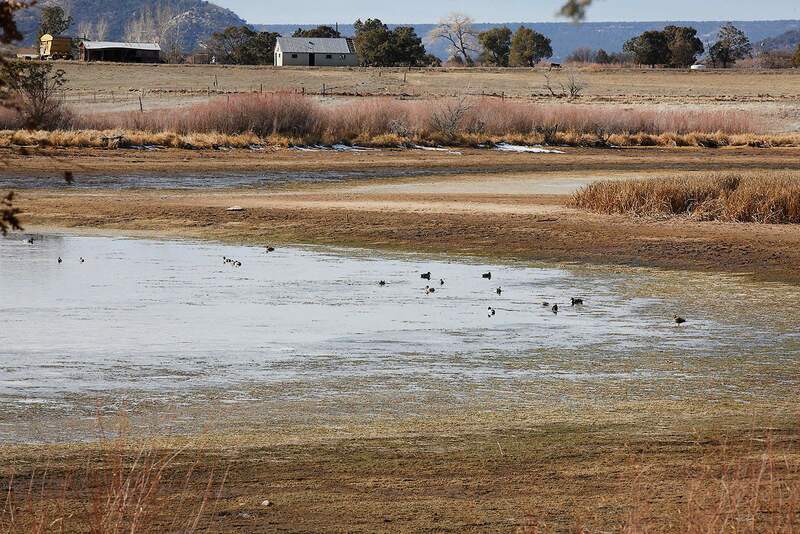 The reservoir will be refilled in the spring and restocked with fish. The draining of Pastorius Reservoir has begun. Taking advantage of a low water year, the Florida Water Conservancy District will empty the reservoir southeast of Durango to make dam repairs. The timing works well for Colorado Parks & Wildlife, which hopes to eradicate invasive northern pike illegally stocked in the reservoir. Joe Lewandowski, spokesman for CPW, said Tuesday that the reservoir will be refilled in the spring and restocked with fish.